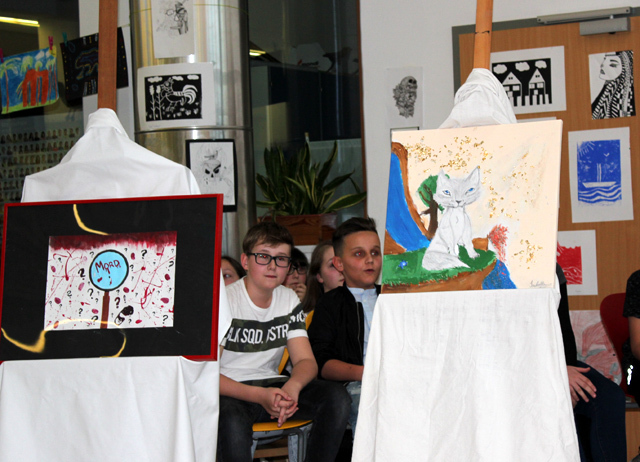 On 5th of April, the Middle School Kalsdorf organized student readings and a vernissage. Kev. 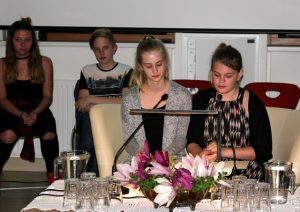 P. – winner of the speech contest 2016 – moderated the event. 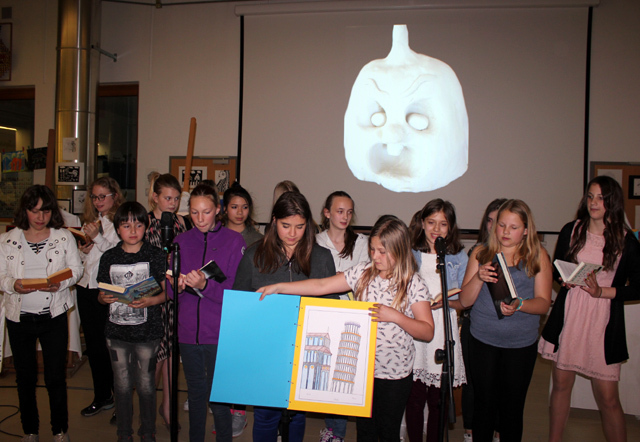 Students of all the four grades read self-written texts, such as modern fairytales, ballads in prose, crime stories and characterizations. The elective subject MaMuTh of the 4th grades, the school choir, the 3a and 2a classes provided the musical framework. The highlight of the evening was the auction of selected pictures. 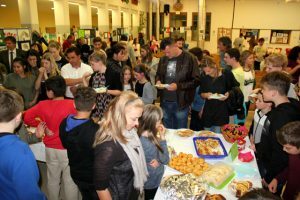 In addition, a comprehensive buffet was served for the numerous guests. Moreover, many pictures, paintings and sculptures that had been produced in Arts lessons were for sale. The net proceeds is donated to the organization P.A.P.A. Bridge in Tanzania, which Father Joseph engages in.